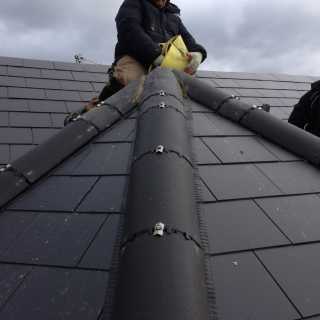 Our roofing services are provided to the entirety of Nottingham. Our fully comprehensive work includes roofline installations and repairs – including installation and repair of cast iron and plastic guttering – fascias, soffits and barge boards, and roof flashing work. 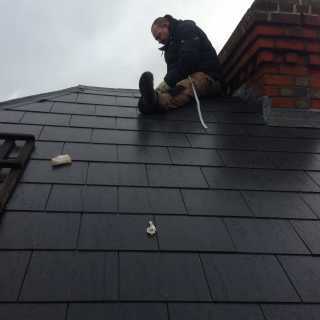 We also do chimney work, including lowering and complete chimney and chimney pot removal, as well as pointing, re-lining, re-building, flashing, capping, cowl fitting and soakers. All of our roof work is fully guaranteed, so you can rest assured that if you encounter any problems in the future, B&S are on hand to help. 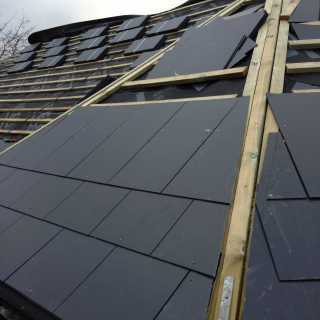 Our experience of dealing with different roofing materials makes us the best company for the job. We will fully assess your roof before we begin work to identify any problem areas and ensure we use the most suitable materials for the job. 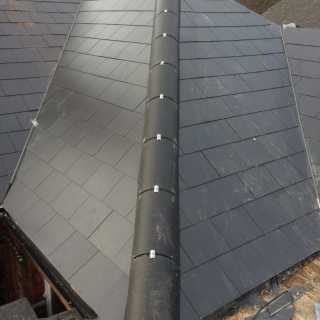 It is important to us to provide roofing services which are long lasting and aesthetically pleasing; we understand the importance of blending into your local environment, which is why we use only culturally sensitive materials such as slate. We provide a consistently exceptional standard of work, no matter how big or small your roofing project is; from a completely new roof to roofing repairs, B&S are your number one choice. For more information about any of our services, why not get in touch?